Hi! My name is Amy. I was “made” in Taiwan and am the baby of the family. I have one older sister and one older brother. I moved to California in 3rd grade (1983) and was raised in a small town, one hour northeast of Bakersfield, known as Lake Isabella. Our family relocated to Las Vegas in 1992 right after my high school graduation. However, I stayed behind to attend college at the University of California at Irvine where I received my Bachelor of Arts in Psychology. In 2000, I returned to Sin City to be with my family. 2004 was a significant year for me, I gave birth to my “lil Einstein” daughter, Ameera. In my spare time my hobbies include, but are not limited to swimming, singing, dancing, spending quality time with family/friends, going to movies/shows/concerts, and drawing. I have been working in the field of dentistry since October 2000, and became a part of the SDS family in 2005. Hello, 你好(Nǐ hǎo), Apa Khabar! I am Malaysian born Chinese who speaks a few languages fluently, from English, Mandarin, Malay, Cantonese, and Hokkien! I am married to my wonderful husband, Markus and am mother to 2 beautiful children: Thomas (7 years old) and Hannah (2 years old). I came to Vegas in 2011 and have been residing here ever since. Of course, I do miss my Malaysian family, food and culture but thankfully my parents do visit us here quite frequently. I have joined this amazing multi specialist dental group Significance Dental Specialist in April 2015. I love working with everyone in this establishment. It is an amazing feeling that I can’t describe when the patient walks out from here with a big beautiful smile. It is an even more rewarding feeling when patients love us the way we love them! 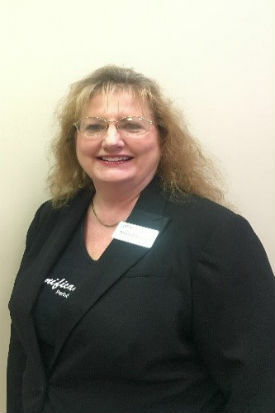 I’m Susan I am the treatment coordinator/ office manager for the Cascade Valley location. I live in Las Vegas with my daughter who is currently a senior at Liberty High school. I also have two adult sons no longer living at home. I’ve been in the dental field all my career, starting as a dental assistant. I love what I do and enjoy working with patients. Please let me know if there is anything I can do for you to make your treatment visits easier. 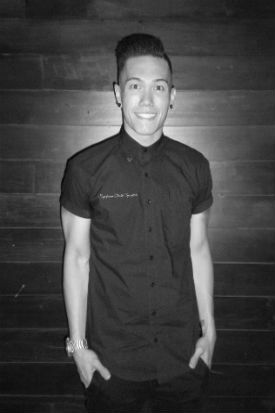 Hello my name is Joe and I am the Marketing Coordinator for Significance Dental Specialists. I have been with SDS since 2008 but took a leave of absence to move to LA, thankfully my wonderful doctors welcomed me back with open arms when I told them I was moving back home. I graduated dental assisting school in 2008 and was fortunate enough to be trained by the best doctors. 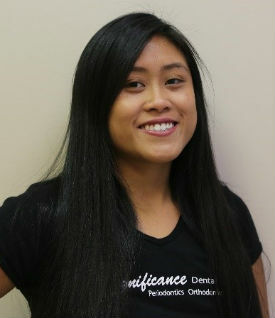 I am cross trained assistant in Ortho, Perio and Endo and I love every single specialty! Ortho of course is my first love, I enjoy the whole patient experience, seeing the patient’s smiles transform is just amazing! The marketing aspect came in shortly after I joined the SDS family, it’s great being able to build these connections with other offices in the Las Vegas valley, and I am honored to be able to market for SDS. Aside from that I enjoy boxing, hiking, dancing, traveling, and spending time with friends and family. I like a challenge and love testing my limits so anything that has to do with fitness attracts me! Hi, my name is Elida, I was born on February 2, 1982 in the beautiful city of Guadalajara, Jal. I moved here when I was 4yrs old. I met my husband in High School. We have 3 wonderful children, 2 girls and 1 boy. On my spare time, I enjoy spending it with my family and friends. I’m the typical girl who loves to cook and shop. I’ve been in the Dental field for 7 years, and currently with SDS since February 2009. Hi, my name is Teresa. I am 23 years old. I was born on September 1st in crazy Las Vegas, Nevada. I have two older sisters, one older brother, and the best mother in the world.. I met my fiancé Jose in middle school 7th grade. We have two beautiful children, my daughter Isabella 4yrs old and Jose Jr. 1yr. I love chocolate, hot foods, music, the outdoors, & most of all my family!!…. 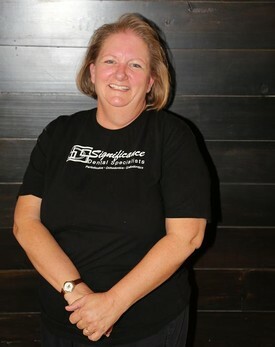 I have been employed with SDS since August of 2007 and my position is Account Specialist. My name is Sandra, I was born in Los Angeles, CA and moved to Las Vegas over 15 years ago. Dentistry has always intrigued me and I have been in the industry for 10 years, the last 5 years of which I have been with Significance Dental Specialists. 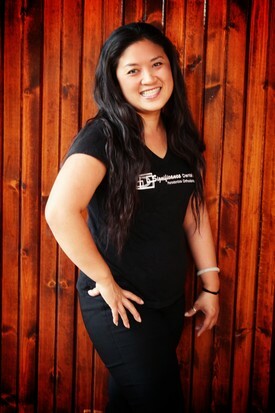 I love working with our caring and talented staff at SDS, I love helping them create beautiful and healthy smiles. In my spare time I enjoy going to concerts, also going to the movies and spending time with my family and friends. Traveling is always exciting and my favorite place to travel to is the beach. My name is Taryn and I am 23 years old. I am from Huntington Beach, California but I did live here in Vegas when I was younger. This is my 5th year working in the dental field and I love it, I am the newest addition to the SDS team. I love the outdoors, discovering new music, and going on spontaneous trips. I am also slightly obsessed with my two dogs Sugar and Buddha. In April, I received my Bachelor’s Degree from Northern Michigan University in Psychology and Anthropology and am aspiring to go to Physician’s Assistant School or Dental School in the next few years. I am so happy to be a part of the SDS team and look forward for what the future holds! My name is Chynna, I am 23 years old and was born and raised in Hawaii, on the Island of Maui. After graduating College I decided to move out here to Vegas with my two sisters. I went to school in Kansas on a basketball scholarship, where I also got a degree in Biology. I always wanted to work in the dental field, so I’m glad that I have the opportunity to gain experience and learn about this amazing field. My Name is Jessica I was born in and raised in South Los Angeles. I completed a dental assisting program in 2001. In 2005 I moved to Las Vegas where I met my husband. I have two beautiful children a 9 year old boy and 12 year old girl. In my free time, I like to spend quality time with my family, we enjoy outdoor activities. I have been with the SDS team since May of 2014. Hi, my name is Laura! I have lived in Las Vegas since 1964. I graduated from Western High School in 1980. “Go Warriors Go”. I then graduated from Clark County Community College, now called the College of Southern Nevada, in 1984 with a dental hygiene degree. I have been very fortunate and continue to work as a dental hygienist in a periodontal practice for the last 27 years. Although I have been in dentistry all my life, the last 6 years with Significance Dental Specialists have been very rewarding. Being a member of the SDS teams has allowed me to witness the “cutting edge” of dental technology with the five most amazing and knowledgeable specialty doctors of our practice. I am very fortunate to have been married to my “crazy” but also very wonderful husband for 23 years. We have two great children, which are both full time students at UNLV. “Go Rebels Go”. My hobbies include “glorified” camping, scouting for “Bambi’s daddy” and “Bambi’s cousins”, baking, and weekend trips to our vacation home in Southern Utah. Andi has been cleaning teeth for 18 years . . . at least 7 of those years on humans. 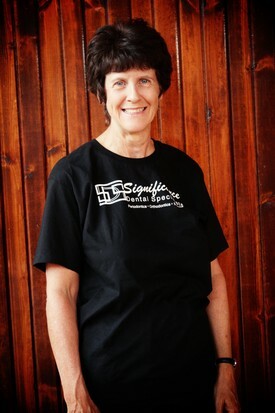 She first became interested in performing a dental prophylaxis when she worked in the veterinary field in California. What joy it was to clean those massive chunks of calculus (tartar) off the molars of man’s best friend. Yes, there WAS enamel under that calculus! The patients were easy to handle since they were fully anesthetized. However, the downside was the inability to communicate with the patient. So she investigated attending dental hygiene school. 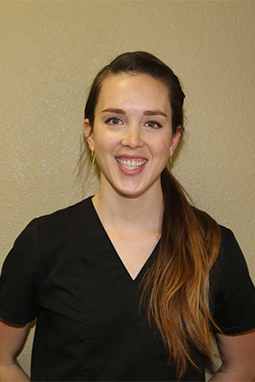 After attending the College of Southern Nevada Dental Hygiene Program, Andi graduated first in her class in 2006. After returning back to school at an older age, she is proof that “you can teach an old dog new tricks”. 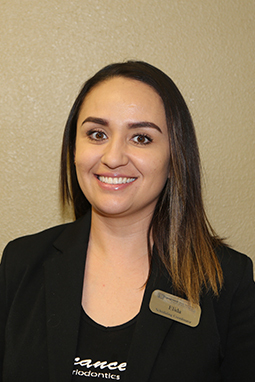 She is so passionate about dental hygiene, that she became the Executive Director of the Nevada Dental Hygienists’ Association right after graduating school; she was also inducted into the Sigma Phi Alpha Dental Hygiene Honor Society and currently serves as Vice-President. 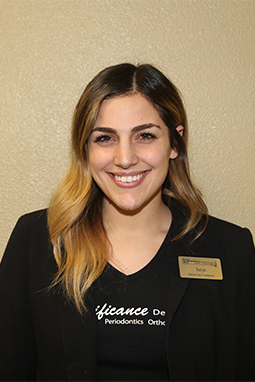 And in her spare time, she is the Editor of the Southern Nevada Dental Hygienists’ Association newsletter, which she took on while still a dental hygiene student. There’s no moss under her feet! When she’s not working in the dental hygiene profession, she dotes on her two “children” Vinny and Mikey. These four-legged humans are Italian Greyhounds and they have Andi well trained! She also enjoys traveling with her personal chef (and husband). My name is Elizabeth and I am from the Great cities of the Bolivian Amazons. I am a Perio and Endo assistant. I have lived in Las Vegas with my husband for 12 years. 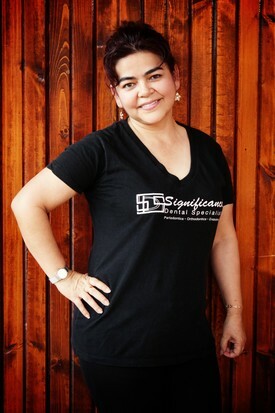 I joined the Significance Dental Specialists team about 4 years ago. In my free time I enjoy spending time with my friends. Hello my name is Alexis and I am one of the few who were born and raised . Dentistry is where I have wanted to be since the 2nd grade and I love it. 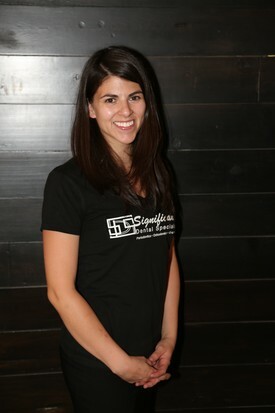 I joined the SDS Team in February 2012 and couldn’t imagine working anywhere else. 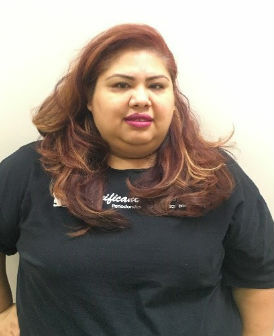 I received my dental assisting diploma at Anthem Institute in 2012. Hi my name is Sonita. I am a former graduate of Anthem Institute, where I received both academic excellence and perfect attendance awards. I chose the dental field because I love working with people. I also enjoy being on the comforting end, allowing patients to undergo smooth and worry free procedures. 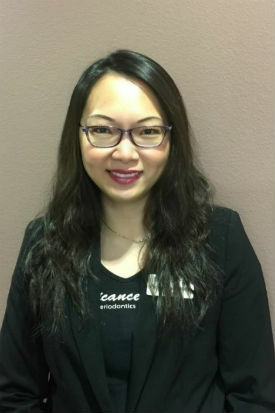 I am currently a back office clinical associate who works chair side with both our endodontic and periodontic specialists. In my spare time I enjoy spending quality time with family as well as bowling. I am very artistic and I love listening to live poetry. Hi my name is Chantaul. I have been a dental assistant since 1997, in all aspects in dentistry. 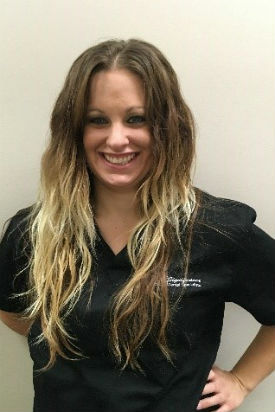 I have a passion for dental assisting and I enjoy making patients feel comfortable. I am originally from Pasadena, CA and I moved to Las Vegas to be closer to my family. I am a mother of two beautiful daughters and a wonderful grandson. I enjoy attending church, cooking and relaxing at home with my family. My name is Emily and I grew up in a small town called Glendale, California. From there I moved to Ventura California and after a couple years living there I moved here to Henderson, Nevada due to family. I enjoy going to the beach, bowling, and snowboarding as some of my hobbies. 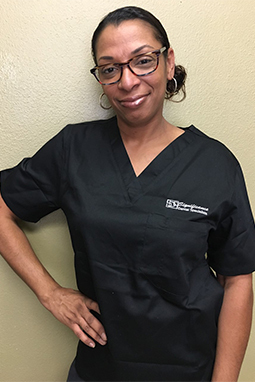 I chose to work in the dental because I have always been interested in working in a field where I can help people and make them smile. 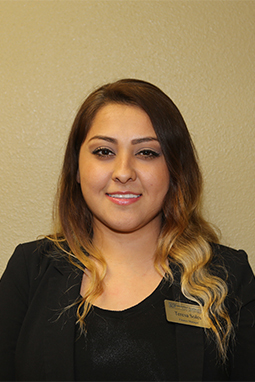 I also enjoy working with people so I felt that the dental field would be perfect for me. I have been working in the dental field for about five years now and every day is a new experience. up working in a dental office as an assistant? I was introduced just three short months after I graduated to the dental world and haven’t looked back since. Now phlebotomy certified and forever learning within the field. I love to enjoy all life has to offer. While growing up in Utah, exploring the outdoors has always been a big part of my life. Anything from skiing, hiking, camping or simply taking scenic drives through the mountains. Traveling and seeing the world has quickly become some of my favorite memories. One destination I recently checked off my bucket list was Hawaii. Talk about true paradise. I also love good food. Salt Lake is up and coming with great local restaurants and I am equally thrilled to discover some solid Vegas spots. Would love to hear your recommendations? I look forward to adventuring the outdoors of Las Vegas and it’s surroundings.